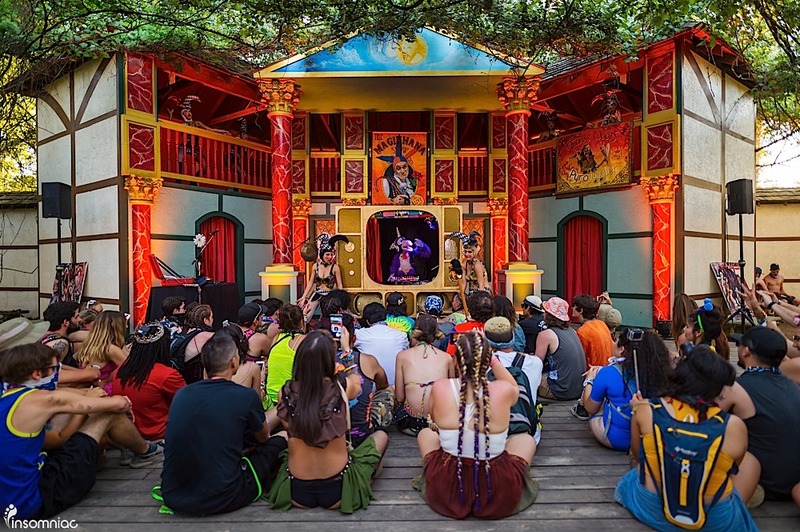 One of Middlelands’ most beloved characters was the purple hip-hop unicorn puppet that performed several times a day in and around the fairgrounds’ Globe Theatre. Paragon—as he’s called by his creator, Kyrian Okane—is the leader of the Fungineers, a troupe of bar-spitting, hook-singing puppets from L.A. that look hella cute but are not so suitable for the kids. Every time I happened upon one of Paragon’s performances, I was struck by the improvisational nature and how insanely funny the whole thing was. Watching a puppet that looks like a cross between a unicorn and a monkey rap about the most absurd topics, like wearing your underwear on the outside—while waving phallic instruments, women’s shoes, and mops in the air—is oddly compelling and wickedly funny. Trust. 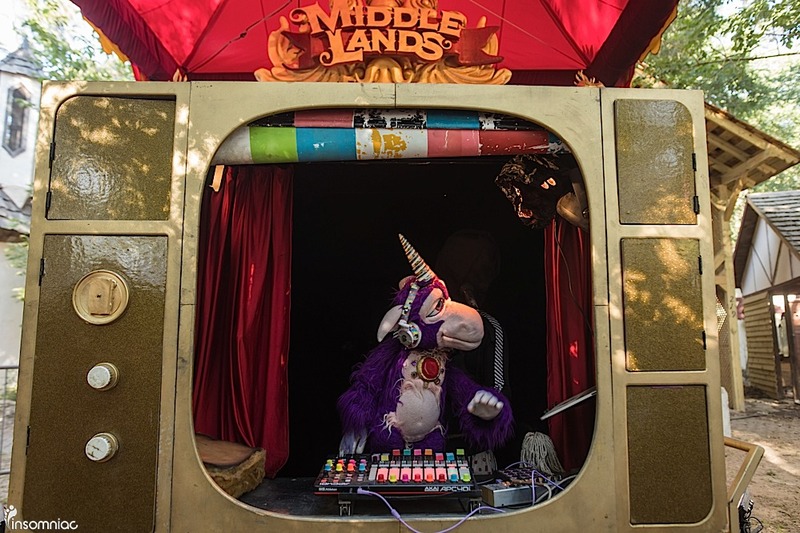 The puppet also appeared to be at the controls of this fantastical live set that had enough grimy funk to bring the noise to any of the larger stages found throughout Middlelands. 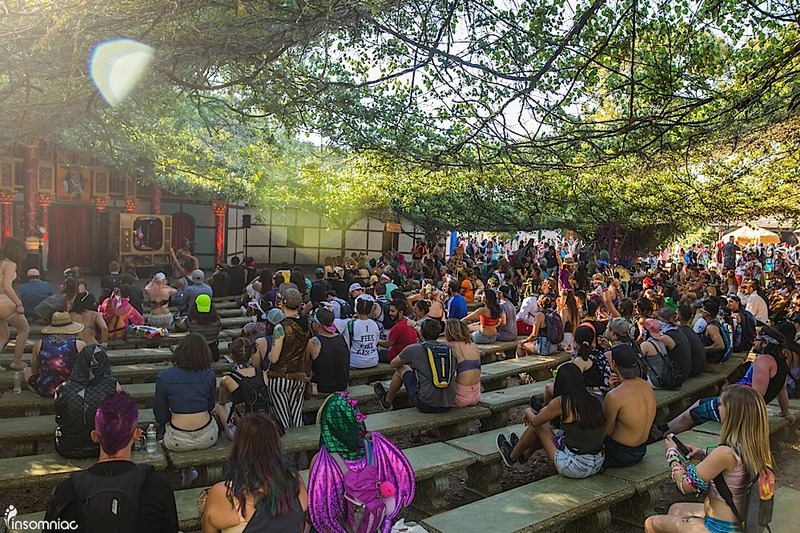 Paragon has become a staple on the festival circuit—with appearances at Electric Forest, Lightening in a Bottle, and Symbiosis—and has even made some appearances onstage with the bass god himself, Bassnectar. After stumbling upon the Fungineers show about five times throughout my weekend at Middlelands, I just had to talk to the man that Paragon lovingly refers to as his “sidekick.” Full disclosure: I was a little disappointed that I didn’t get to interview the puppet, but he had been performing all day and needed to get back to his trailer. Can you tell me how you came up with the idea for this puppet show? I started as a beatboxer almost 17 years ago. One night at my friend’s house, she had a little sheep hand puppet. I put it on, I started making beatboxing bass sounds, and I was like, whoa! So, I started incorporating that into beatboxing for a couple of years and took it to festivals to perform. Then I got into unicorns and had a unicorn puppet made. Then I found different people to play with puppets with me. We did little improve sessions, and it has since grown into the Fungineers. It’s a crew that I run and founded. 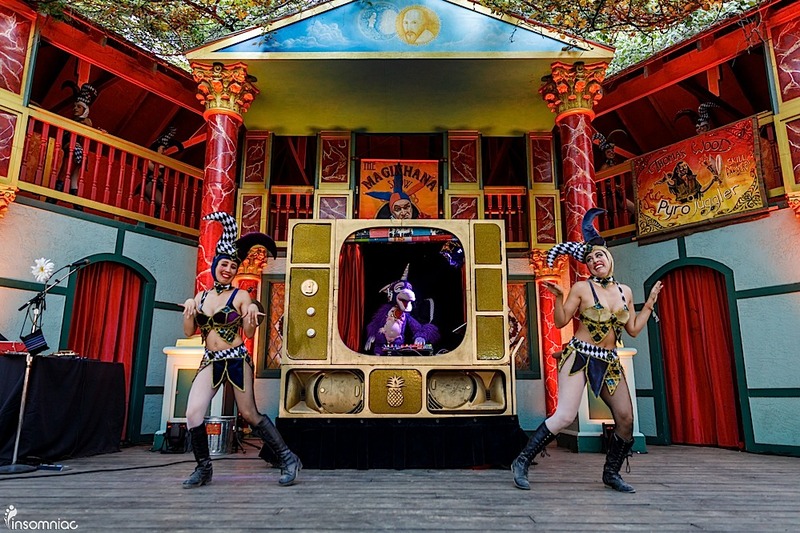 It’s a psychedelic hop-hop puppet show for adults. 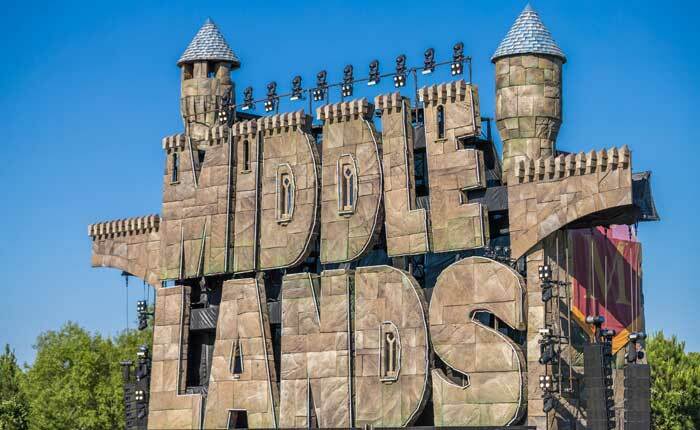 There’s Paragon, who’s the leader, and when I do shows by myself, like you saw [at Middlelands], it’s the smaller version. The group show has more puppets and dancers, a team of vocalists and rappers. Los Angeles. We have a studio called Creatington. That’s where we build our sets and I do all my video stuff. 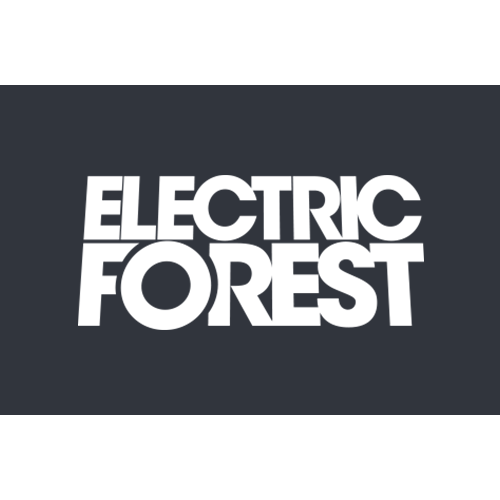 I do videos for Bassnectar and other artists. It’s a cool little L.A. creative hub with lots of awesome things going on. The puppet you had today—does he have a name? Yes, that’s Paragon. He’s a cyber-unicorn-tron. His dad was King of the Robot Monkeys, and his mom was a unicorn. Do you make the puppets yourself? Some of the puppets we make in-house. And we work a lot with my friend who has company called Furry Puppet out of New York, and we design them. I’ve seen you five times this weekend, and I couldn’t help but stop each time. How do you feel the show was received? It’s been really good. A lot of people don’t know what they’re watching at first, which draws people in. Their brain can’t really compute what’s going on, and that’s great. I’m trying to do something different, which excites me. It’s gone really far in that direction of… trying to master it. I think a lot of people don’t really know what I’m doing. Being in the puppet, one hand is his mouth and one is his hand. The puppet is doing all the looping, and I have the microphone strapped to my chest. Most of it is improv in this type of setting. It keeps them engaged and takes them on a little journey. There’s a lot of comedy involved. Is that something you’ve always gravitated toward? I have other outlets; I’m a music video director and photographer. So I have other things that aren’t comedic. But there’s always been a saturated, colorful and bright feeling to it. It’s fun and not taking itself so seriously. The Fungineers has always had that. It’s like trying to engineer a brand-new fun. I could DJ, but there are like a million DJs. That doesn’t excite me as an artist. I just want to challenge myself to try new things and hope that sometimes it comes out funny. When the Fungineers perform on a larger stage, how does that work logistically? It’s a little less improv and more group numbers. We have a bunch of songs that I didn’t perform because there’s a bunch of different vocalists and bits that go along with them. So it’s a more kind of showy show. It enables us to do more gags. We’ve done lots of big stages. We’ve been performing at festivals for over 10 years. 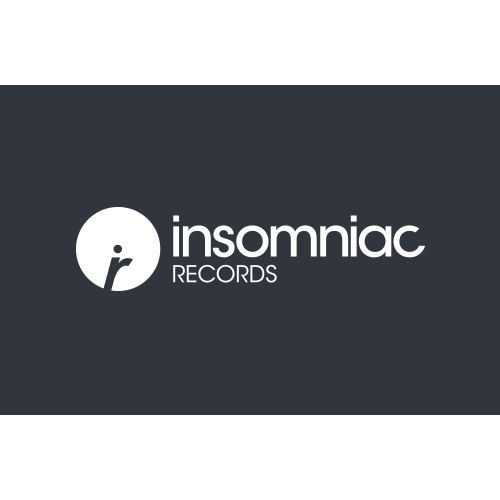 We’ve done sunrise and sunset sets, late-night things. We also have a late-night thing we do at festivals that we call the SitCommune. That’s fun, because we build our own world as a set. It’s all dialed in exactly how we like it.